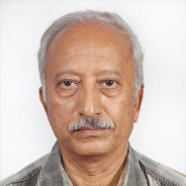 Ravi Korisettar, Dr V S Wakankar Archaeological Research Institute, Dharwad. Ravi Korisettar has conducted a series of investigations into the Palaeolithic and Neolithic cultures of southern India and excavated lower Palaeolithic landscapes in the Kaladgi Basin of Karnataka, a group of Later Pleistocene open-air, rock shelter and cave sites at Jwalapuram in Kurnool District of Andhra Pradesh. He has conducted a series of investigations into the origins of agricultural economies in south India and excavated a large Neolithic site at Sanganakallu in Karnataka. His discovery of the Youngest Toba Tuff, volcanic ash of Sumatra origin in peninsular river deposits and its significance in dating the Middle and Upper Palaeolithic has brought the place of the Indian subcontinent at the forefront of debate on expansion of modern humans out of Africa. He has discovered a large number of prehistoric painted rock shelters in the Kurnool District of Andhra Pradesh, and this has led to a series of investigations on identifying suitable dating methods for rock art and understanding the non-material culture of the authors of these paintings. His ongoing research aims at a comparative study of prehistoric rock art in the Vindhya and Cuddapah basins of peninsular India. The Indian subcontinent has witnessed two major phases of human expansion out of Africa during the Pleistocene (during the last 2 million years). These two major events have been termed Out of Africa I and Out of Africa II. The first expansion is associated with Homo erectus and the second one is associated with Homo sapiens. Archaeological evidence from across the region has been documented indicating the presence of early human settlements ranging in time from 2 Myr to 1.2 Myr (lower Pleistocene) and late Pleistocene (80100 Kyr) settlements of Homo sapiens. While the well-dated sites are not many, given the size and range of geographical environments across the subcontinent, the archaeological evidence has, however, placed the subcontinent at the forefront of ongoing global debates on peopling of the world. Global debate regarding this expansion event is focussing on the timing of exit out of Africa and the routes of dispersal. The subcontinent has been placed at the crossroads of human expansion between Africa and Australia. The latter region was first colonized around 5060 Kyr. Hence, not only the timing of Homo sapiens expansion into the subcontinent but also the intra-subcontinental expansion needs to be placed in geoenvironmental perspective to be able to arrive at definite picture of the role of regional geographical environments within the subcontinent that may have played a pivotal in the expansion process within and without the subcontinent. Based on the nature and geological context of archaeological (Palaeolithic) evidence in the subcontinent, a basin model has been developed to explain the settlement patterns associated with both the expansion events. This model has identified a series of geological basins across the subcontinent that could be identified as core areas of Palaeolithic human settlements; these core areas are coterminous with the seven major Proterozoic Purana Basins and the interconnected Gondwana basins across the peninsular region. Among them, the Vindhya Basin preserves the highest density of Palaeolithic settlements that have also preserved evidence for continuity of human occupation throughout the Pleistocene. This presentation focusses on the nature of evidence from this region and also from the related regions to emphasise the need for multidisciplinary investigation at select sites while highlighting the achievements of Palaeolithic research and our understanding of cultural evolution during the Pleistocene.